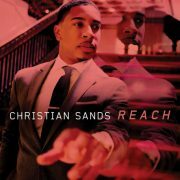 For his Mack Avenue debut, which follows several leader releases for lower-profile labels and the high visibility of membership in two of Christian McBride’s groups, Christian Sands is understandably eager to display the breadth of his gifts as a pianist and composer. That might easily have gone the wrong way; he could, for instance, have turned in a flashy hodgepodge lacking a central voice. Fortunately, the 27-year-old has enough confidence and discipline to keep in check any desire to overreach on Reach. There’s virtuosity all right, but there is more heart. 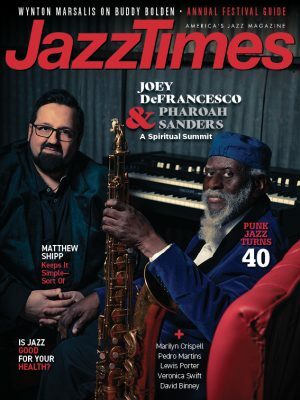 Eight of the 10 tracks here are Sands originals, two of them—“Armando’s Song” and “Bud’s Tune”—homages to, respectively, Chick Corea and Bud Powell. Despite those nods, Sands isn’t one to flaunt his influences; he’s far more interested in forging his own identity, and he’s adept at finding a balance that allows his sensibilities to shine while utilizing his collaborators’ strengths. Whether engaging in a full-on Latin blast, “¡Óyeme!,” which incorporates the manic percussion of Cristian Rivera; playing it cool and sweet on “Freefall,” featuring Marcus Strickland on tenor saxophone and bass clarinet; or finding the funk on “Gangstalude,” Sands adapts seamlessly to the situation and calls the shots with command and grace. On Bill Withers’ “Use Me,” one of three consecutive tracks featuring guitarist Gilad Hekselman in addition to the basic setup of upright bassist Yasushi Nakamura and drummer Marcus Baylor, Sands flirts with fusion. But the cover of “Somewhere Out There,” from the 1986 animated film An American Tail, doesn’t require any outside assistance—the Sands/Nakamura/Baylor trio brings all of the grandeur of the Linda Ronstadt/James Ingram original while avoiding the song’s inherent mushiness.